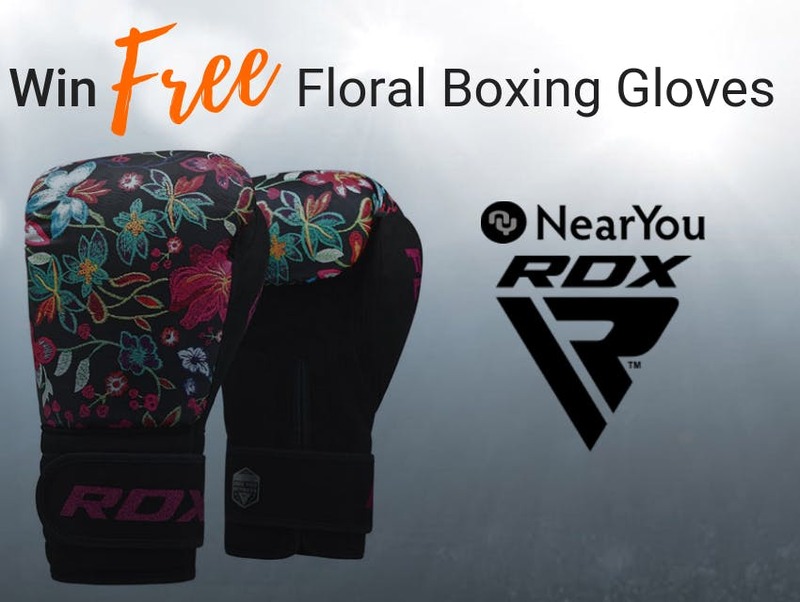 Martial Arts Near You is offering ladies a chance to win a pair of amazing RDX Floral Boxing gloves. Designed for fashion conscious ladies looking to add a bit of piazzas to their punch when working out. These ladies handmade boxing gloves feature a unique Flora Skin outer and are double-stitched for split-proof seams that ensure a sturdy and durable product, ideal for that workout. Enter on Martial Arts Near You and within just a few seconds you could be in with the chance of winning one of these 3 boxing gloves. They don't just look good they deliver a power-packed punch. Featuring EVA-LUTION foam gel padding making them super effective for shock absorption, they are comfortable, absorb sweat and moisture. These boxing /sparing gloves specifically designed for women's hands that have narrower knuckle breadth and lower bone density. The women's gloves are UNIQUE developed by the leading British Combat Sports and Fitness brand in the UK, RDX Sports. Why are we giving away these Boxing Gloves? In recent years we have seen a huge influx of interest from women taking up Martial Arts. They love boxing and kick boxing classes and this can be seen in the growth in its popularity. And who can ignore the beautiful and intricate floral design that has been embroidered on the front of the gloves, adding a touch of fashion to any work out. They're sure to turn heads next time you're training! But don't be fooled, these gloves may look delicate... but they still pack a punch!